Forcelok provides equipment sales to meet our client’s needs. Whether you are a pipe mill requiring multiple sizes of end prep units and tooling packages or a pipeline contractor needing field assembly equipment, our expert sales team can help configure a system to meet your needs. Forcelok can assist with the design and development of any custom connection design. 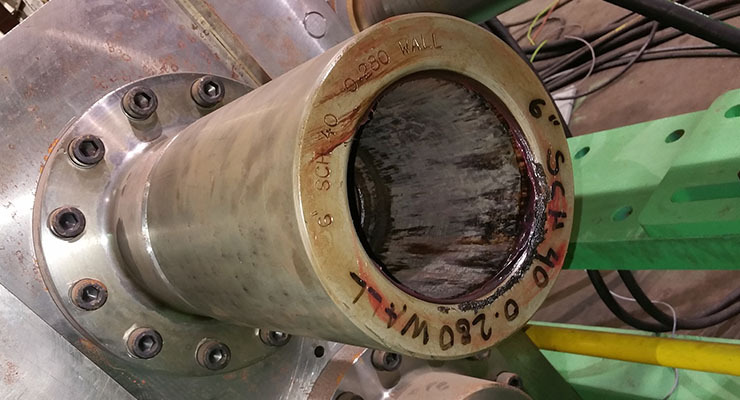 Based on your requirements, we will design a mechanical or welded sleeve system engineered to your specifications, with custom tooling and equipment to support your needs. Equipment leasing provides a cost effective way to acquire the equipment and tooling needed in an economical payment stream. Contact us today and let us design a customized equipment leasing program for your company. ForceLok provides various equipment maintenance and refurbishment programs designed to lower the total cost of ownership, reduce downtime due to equipment breakdown increase productivity. Contact us today and let design a maintenance and refurbishment program designed to meet your production goals. ForceLok can assist in the design, testing and certification for your pipeline application. We work with several testing facilities throughout the world to document and certify any connection to our clients unique specification. ForceLok provides onsite and remote training and support worldwide for all of our equipment and technology. Whether you are a pipe coating plant, pipe yard, or pipeline contractor, we can provide the training and support needed to maximize your investment. 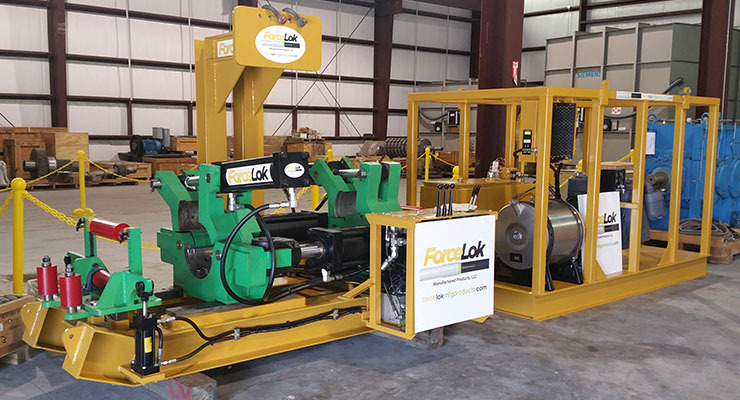 The ForceLok End Preparation Unit can be located, in the pipe mill, pipe coating plant, pipe yard or at the pipe construction staging area. There are two pieces of End Prep equipment, each with an electric hydraulic power unit. Each End Prep unit has interchangeable tooling for up to three OD sizes of Line Pipe. Tooling packages are available in sizes ranging from 4” to 18”. 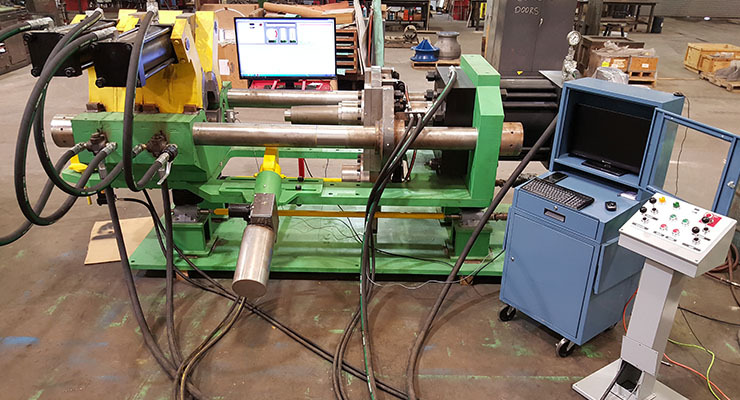 (Example: 4”, 6” and 8” nominal line pipe sizes) One End Prep unit processes the Pin End with ForceLok Tooling that Swages the end down. The second End Prep unit processes the Bell End. Two ForceLok End Preparation units (one to make the Pin End and one to make the Bell End) are recommended to maximize production. The ForceLok Field Repair Tooling Kit is provided for field repairs of damaged line pipe and allows for the conversion of a ForceLok Field Assembly Unit to an End Preparation Unit. The versatility provided by this dual purpose capability allows construction crews to quickly address damaged connections in the field, thereby reducing downtime and lost productivity. The final component of the ForceLok Mechanical Pipe Joining System is the ForceLok Engineered Flexible Epoxy. The Epoxy is a medium viscosity epoxy for applying to line pipe as a barrier to corrosion in joints and to aid in sealing. It is a 1:1 meter-mix formulation for use with all durable materials where water, moisture, commercial chemicals such as acids or harsh cleaning materials are present and need to be protected against. The product exhibits minimal shrinkage and forms a tough, flexible bond, which distributes stress over the entire bonding line to prevent cracking or separation. The ForceLok Engineered Flexible Epoxy is made to provide a slower cure to allow flexibility to develop, and has a low odor when mixed out of the special dispensing nozzles. 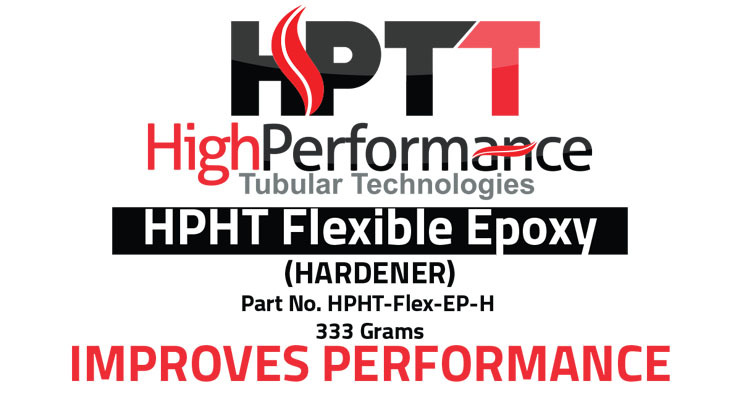 This product has a work life of 50-60 minutes in the mixer tube, is tack free to the touch in 180 minutes at 72F, and is fully cured in 24 hours. It has special adhesion agents for metal bonding especially damp or moist surfaces and will cure in temperatures down to 40F. 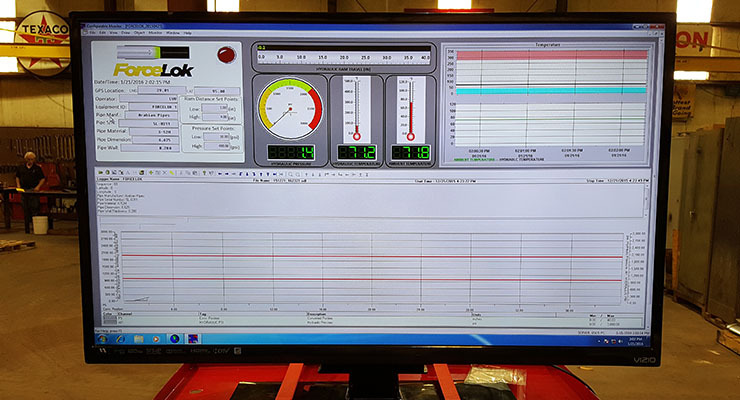 The ForceLok Computer Monitoring System was designed to ensure quality control in the manufacturing of the end preparations and provide a monitoring in the field during the joint assembly process. Utilizing the ForceLok Computerized Monitoring System, pipeline contractors can now demonstrate the integrity of each assembled connection by graphing and documenting the measured PSI, penetration and force of each assembled press fit connection. 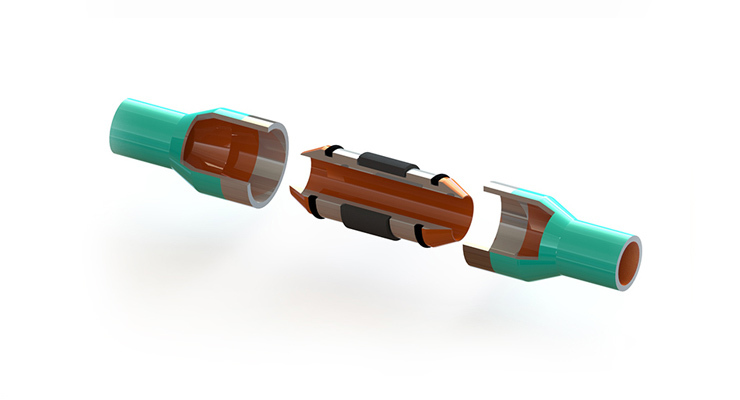 The ForceLok Welded Sleeve system is a combination welded/epoxy connection comprised of two belled ends with an integral ID coated, internal sleeve. The welded sleeve system provides maximum connection strength creating a smooth laminar flow. The use of an engineered flexible epoxy provides optimal sealing to prevent leakage and corrosion while being unaffected by high temperatures during the welding process.